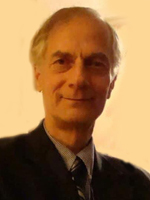 Alexander Pasquier passed away on Thursday, April 11, 2019. He was born in Manhattan, NY on 6 June 1950 to Greek American parents, Elizabeth and Gabriel Pasquier (Papadopoulos). He attended Newport News and Ferguson High School. He is survived by his two daughters, Alisha Ingram and husband, Chris, and Chelsea Au; four grandchildren, Corrie-Lynn and Kendall Ingram, Sylar Au and Elysian; brother, Harry and wife, June Elizabeth of Miami and many cousins in New York and locally, including growing up with Dr. Irene Lohkam (Stavrou) of Montana, Deno Stavrou of Australia, Joan and Alexander Michalos of Norfolk, and Nick Vlattas of Newport News/York Co and his sister Maria of North Carolina. Besides his love of real estate, Alex was very much interested in the arts. He opened his own gallery in Hilton Village where he sold art and hosted local painters and sculptors. His love of music brought him to the board of directors of the York River Symphony Orchestra which he enjoyed immensely. He was a loving father and grandfather and a very devoted Greek Orthodox Christian who loved the Church and made sure his family was involved with the sacraments and youth activities. The family would like to express our appreciation and gratitude for the staff at the Riverside Hospital Surgical Intensive Care Unit. A Trisagion Service will be held at 6:00 pm on Tuesday, April 16, 2019 at Weymouth Funeral Home by Father George Chioros with Visitation to follow. Funeral Services will be conducted at 11 am on Wednesday, April 17, 2019 at Sts. Constantine and Helen Greek Orthodox Church with Interment to follow in Peninsula Memorial Park. Arrangements by Weymouth Funeral Home.